I hope you all had a great New Year and have suitably bad hangovers (I certainly do!). I didn't want to waste any time in getting back into this writing lark, especially when the list of 2018 releases is already as long as my arm. At this point it's only right that I welcome Russian death/black trio Vhorthax. 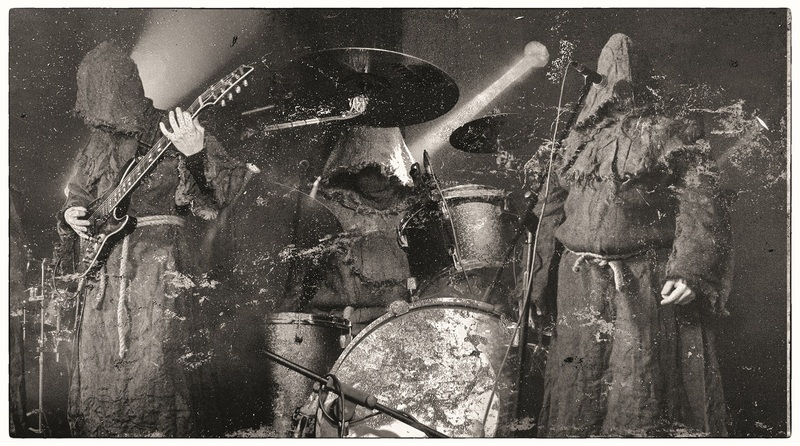 This mysterious cloak-clad band from Nizhny Novgorod formed in 2016 and are imminently due to release their debut EP "Nether Darkness" via Iron Bonehead Productions and via Von Frost Records/Devil Cult Ritualism. “Nether Darkness” consists of four tracks bookended by both an intro and outro. Intro Altar I - The Mass is a mix of haunting ambience, icy melodies and screams, which bring to mind the cold Russian tundra. 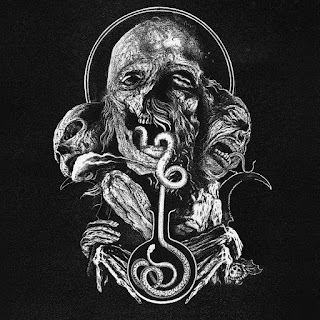 The Levitating Tomb brings Vhorthax’s death/black metal to life properly, with menacing mid-paced death and metallic black metal, with kick drums, frenzied bass/guitar and vocals that range from deep growls to tormented screams. Stabat Mater features extremely full instrumentation and even though you could say that the recording is lo-fi, it’s still inviting and presents the trio’s music well. At times they veer off into atmospheric passages that deserve admiration. 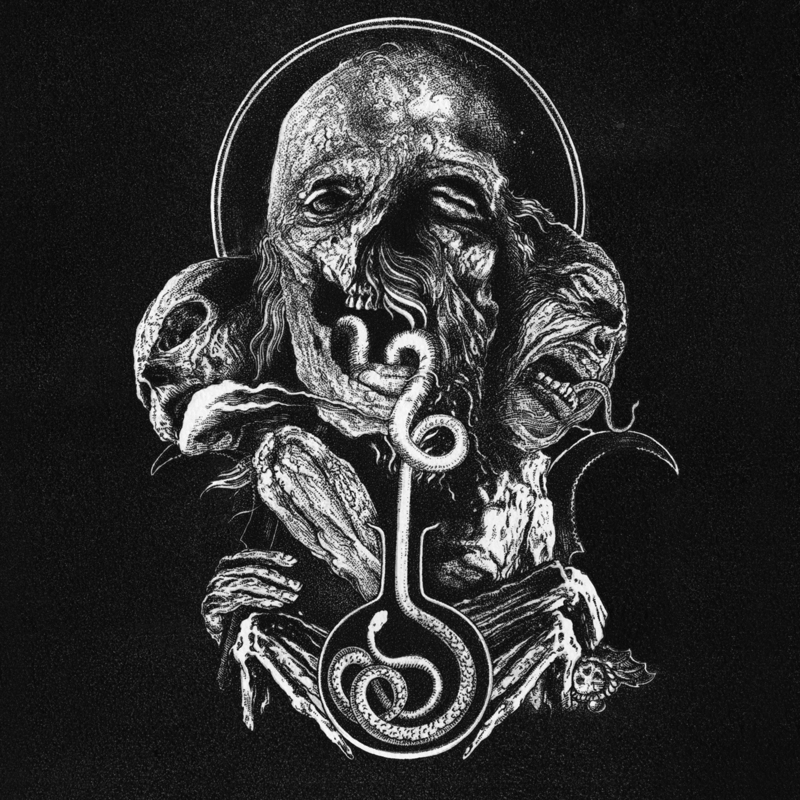 The death/black underground may well be overflowing at the moment but there are some real gems hiding in the shadows and Vhorthax’s presence is welcomed. The brutal tempo of Thy Foul Graal is upbeat and creates a song full of urgency. It’s the most straight-up black metal number on “Nether Darkness” and it’s one that you’ll struggle to keep up with. The harrowing screams that open Crushing The Vessels Of Trinity serve as a warning to those who’ve ventured into this unaware. Vhorthax has no time for casual acquaintances or journeymen. They venture forth with only disdain and single-mindedness at their core. The occult imagery that their ungodly hymns portray is all too real yet there’s a warmth reserved for those who are true fanatics and admirers of the extreme. The outro Altar II - The Descent Of The Mar closes this EP is frightening fashion. Extreme metal, even in 2018, is still proving that it can be dangerous and evil. Vhorthax sets the bar early for upcoming bands in accomplished style. Updated. Thank you for letting me know!